I love reading books, especially Young Adult books of all kinds. 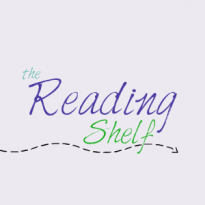 I have a book reviewing blog (The Reading Shelf) that I try to update whenever I'm not reading or procrastinating on the internet. I hate it when I just don’t enjoy a beloved series that just about everyone else seems to love, but that was yet again the case with the second book in Marissa Meyer’s Lunar Chronicles. I wasn’t a fan of Cinder, and I was equally disappointed in Scarlet, although for some different reasons. My main issue with this book were the characters. I wasn’t a fan of Cinder because I spent much of the last book wanting to shake her for not figuring out the many twists I solved in the first fifty or so pages. Even though there weren’t any twists that I figured out early on in this book, I was already annoyed with Cinder and was prepared to dislike her further, which is probably one of the reasons why I did. Therefore, the fact that Cinder’s storyline was the most interesting one to me was ruined by the fact that I didn’t care about the main character involved in that storyline. I had hoped that I would like Scarlet and Wolf better, but I just didn’t care about them. I think this might be partially due to the fact that I started this book over the summer as an audiobook. I don’t have a good relationship with audiobooks, and this was no exception. I wasn’t a fan of the voice used for Scarlet, so I was already kind of annoyed with her. I initially liked Wolf, but I wasn’t a fan of him once he got obsessed with Scarlet. Thorne was pretty much the only character that I liked, and I don’t think I got the full of effect of him because I read this book really quickly, doing a lot of skimming so I could get it over with already. He reminded me of characters like Sturmhound and Kenji (from Siege and Storm and Unravel Me, respectively), and he was treated much like they were – as nuisances that no one bothered to take seriously. If we could have gotten rid of everyone else and just focused on him, or if people wouldn’t be so serious and annoyed by him all the time, I probably would have liked this book better. All my problems with characters aside, I did kind of like the story. Well, I was mostly interested in Prince Kai’s royal predicaments. He wasn’t my favorite character, but I tended to be more interested when things were happening on his storyline. It wasn’t my favorite, but it was the most interesting. I probably won’t continue on with this series, but I’ll never say never. Maybe the twist on Rapunzel will finally draw me into this story, but it’s not looking likely. I wish I could have loved these books as much as everyone else, but that just doesn’t seem to be the case with this series.